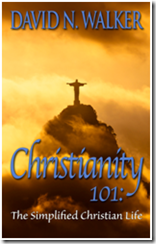 Because of today’s special post, I won’t be posting my regular Christian blog tomorrow. I don’t know why I didn’t enter the first Beauty of a Woman blogfest, but this is my third one. I wouldn’t miss it. To me, the true beauty of a woman is her inner strength, not her surface appearance. 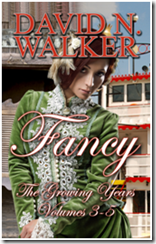 My novella series, Fancy, and my current WIP are both celebrations of women’s strength. In case you’re not familiar with it, this is an annual blogging event put on by August McLaughlin – http://www.augustmclaughlin.com/boaw15/ – honoring real women rather than the idealized version the entertainment and modeling industries put forth. If you go to August’s website after you finish reading this, you will find a number of links to other posts honoring women. Most of these posts will be about woman, per se, rather than any individuals. For this year’s fest, however, I’ve elected to honor three specific women as examples of womanhood. Since most of you know Kristen Lamb, I’m going to start with her. When I first met her, no one knew her. She was president of a writers’ group I joined, and she had her hands full dealing with a few dissidents whose main purpose in life, apparently, was to give her a hard time. I soon became her ally, and many times I practically had to dry the tears from her eyes because of the way they treated her. After a few years of that, we both decided enough was enough, and we started our own group, specifically designed to teach the fundamentals of writing novels. We called our new group the Warrior Writers’ Boot Camp. About that same time, she was learning to use social media and soon wrote the book We Are Not Alone. The rest has been history. She has become widely known as an expert in the field and has thousands of fans around the world. She could easily have given up and turned her back on writing, considering the way people were treating her, but she didn’t. The strength she exhibited in going forth from there is a great example for women everywhere. While just about everybody who reads my blog posts knows Kristen, very few, if any of you, know my other two examples of the beauty of strong women. Well known or not, they both exemplify everything good and positive about a strong woman. My sister Barb Estinson has known—and risen above—sadness and adversity in her life. She married her high school sweetheart and raised four kids with him. He was a Methodist pastor, and pastoral salary was always on the slim side. Barb had to dress and cook a lot of fish and game to feed the family. She also bought powdered milk and mixed her own, and she made her own homemade bread. BTW, her bread was much better than any bought in stores. After a number of years as a homemaker, divorce threw her out onto the job market to support herself and one to three of her kids, depending on which ones lived with their dad at any given time. She managed to keep her head above water somehow as she finished raising the kids, undertook a second marriage, and moved several times to satisfy her husband’s wanderlust. Just as life seemed to be settling down for her, her oldest child took her own life, leaving behind three daughters—one age ten and two age nine. I can’t pretend to know how Barb felt as she went through the experience of losing her daughter. I’m only thankful I haven’t experienced such a thing. In her later fifties, she found herself raising one of these granddaughters. While she was doing this, her second husband decided to leave. Once again, she faced life alone and managed to deal with it. Barb has now been married for ten or eleven years to Joe Estinson, and life seems to have settled down pretty well for her. She has a good husband, loving stepchildren, a reasonably comfortable—if not plush—retirement, but nothing has ever come easily for her. She truly represents the beauty of a strong woman. Please indulge me while I submit my wife Sharon as my third example. 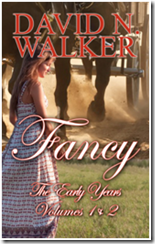 She grew up in a middle class family where no one suffered, but money was never plentiful. She worked part of the time as she got her teaching degree, and then got married and supported her husband as he finished dental school. When their son was a toddler, her husband moved on, leaving her to raise him on her own. He did pay child support, but did little more. She had to take over the house payments, car payments, and everything else to support herself and her son. While teaching school to support the two of them, she drove countless 90 mile round-trips to Denton, Texas, to get her master’s degree and then continued there to get an administrative certification so she could make more money. Somewhere along the way she also became certified as a counselor, because she did that for several years before she became an assistant principal. When I met Sharon in 1990, she’d been single for16 or 17 years. She was spending over half her take-home pay to put her son through the University of Texas, where he spent five years earning a B.A. and Master’s in accounting together. She worked ten- to fourteen-hour days most of the time both before and after we married. Her principal and her fellow assistant principals always went home long before she did, because they knew they could dump whatever work on her they needed to. Although she’s now been retired for nearly 14 years, she still works four days a week. That’s just Sharon—my beautiful wife and one tough lady. I’m sure most of the women reading this have had to stand strong through the years. Whom do you know who is a female example of this kind of spirit? 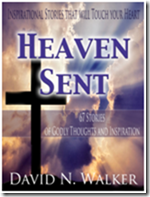 This entry was posted in Uncategorized and tagged Advice, Authorship, Barb Estinson, Caring, David N. Walker Christian Author, David N. Walker Historical Fiction Author, Fancy Series, friends, Heaven Sent, Joe Estinson, Kristen Lamb, Life, Life experience, Life lessons, Life truths, Life values, People, Personal development, Self-help, Sharon Walker. Bookmark the permalink. WOW! David…thank you for letting us get to know these lovely ladies who have shown so much strength. Such an honor to be part of this with you all. PS.If you win you can gift the GRAND PRIZE to any one of them! Thanks, Kourtney. Loved yours, too. If you’re not in charge of your life, who is? You’re right that many of us participating in August’s fest speak generally of “woman” rather than particular women. It was refreshing to hear specifics about real, individual women–and inspiring beyond words to hear their stories. Thanks, Audrey. I appreciate that. This was such a great tribute to amazing women. I can’t believe what Barb has been through. I can’t even begin to imagine the losses in her life. Thanks for sharing and joining us in the Blogfest! Thanks, Susie. That’s something, coming from someone who’s gone through all you have in the last year or two. What a beautiful tribute to these strong women, David. And I want to say a word of appreciation for brothers. I know firsthand that a brother’s support and encouragement is priceless!! So thank you for being a wonderful brother to Barb, as well as a good husband to Sharon and friend to Kristen! Thanks, Kassandra. Perhaps I should mention that another strong woman – my mother – raised me that way. I enjoyed your post, too. What a beautiful post honoring three amazing women! I’ve feel blessed to have Kristen in my life too 🙂 Your sister and wife sound like strong lovely women. Thanks, Alica. Come back and see me again sometime. It is lovely to hear a man appreciate the strong women in his life. So often that is not possible, but I can hear the respect and love in your words for all these women. They’re lucky to have you nearby. Thank you, Louise. I can’t understand a man who wouldn’t appreciate the strength of the women he knows and loves. Thank you, Amaryllis – and don’t worry about six-pack abs. That’s not where your beauty is anyway. Lovely! I adore your tribute to the strong women in your life. I have so many examples myself. One woman I always turn to in my list is my best friend who died of breast cancer several years ago, but her beauty remained despite chemo and radiation, hair loss and side effects, mastectomy and other surgeries — because her deep beauty was her inner strength. We ladies would do well to remember where our true beauty lies. Thanks, Julie. I’ve always thought of you as beautiful inside and out. Thanks, Jenny. Good to hear from you. For some reason I never get notices of your posts, even though I’ve subscribed several times. I miss seeing your face and hearing what’s on your mind. A lovely and beautiful post, David. Thank you for sharing! Thanks, Kate. I appreciate that. Great honorees, Dave. Finding a strong beautiful woman to cherish is indeed a blessing and it sounds like you’re found several. Losing a loved one of any kind is a special kind of sadness and never completely heals. For me, it’s the pain of the loss that keeps the memory fresh and alive. Thanks for being part of this awesome event. It’s nice to see men who support strong women. Thank you, Patricia. I suspect there are many more of you I could have written about if I knew you better. It’s a wonderful post about three wonderful women, beauties all. Enjoyed it. David, it always makes me smile to see you so supportive of BOAW. Thanks for a lovely, deeply personal post about three strong, beautiful women. I love BOAW, Pat. Glad be able to be supportive. A lovely post. I like that you spotlighted three special women. I’ve met Kristen, and I agree completely. Strength is beauty, and the three women you wrote about are truly beautiful! Thank you, Jan. I loved your post, too. Your daughter sounds like a wise woman. Maybe she should write, also. I just sent you a FB friend request – if I got the right Jan Morrill. Thank you so much, David. I am honored to be included in your blog about strong women. To share this honor with Sharon, who has so much of my respect, and Kristen, who I appreciate though I have never met her … well, what an honor. One of the things that has always helped me get through tough times has always been your love and support. God certainly gave me a great brother! Thanks, Sis. You deserved every word I said. The fact that your post is so personal makes it so meaningful. Thank you for sharing. You’re welcome, Mina. And thanks for sharing your sour-grapes-turns-to=beauty post. Thanks, Jane. My biggest problem was in drawing the line. I could have included many more – including you. What a lovely tribute to these women, David — they all seem like true beauties! (And I can personally attest for Kristen’s beauty. 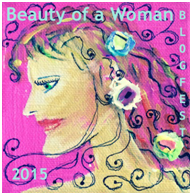 :)) Thank you for the thoughtful post, for supporting women and for participating in the fest! Thank you for the opportunity, August. Thanks for your kind compliments, husband. Many women, like many men, have inner strengths. 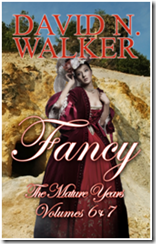 I appreciate the fact that your novel Fancy, tells of a very strong, caring, and principled woman. Reflecting on myself, I attribute my success to God and the emotional and financial support of my loving parents, Arthur and Betty Johnson, throughout the years. Thanks again, kind one. You’re right, Sharon – I’m sure there are many women who exhibit this kind of inner strength. I know a number of them myself, but I think you and Barb and Kristen are worthy of mention. I think it is wonderful that you are so supportive of the women in your life. You are a good man. That kind of supportive is priceless. Thanks, Kitt. I’m sure if I knew you better I could have included you in this.